One one of the best and easiest ways to make your space look more presentable, whether you’re having people over or if you are just tired of a messy house, is to clear surface areas. Move that coffee mug that has been sitting there for 2 days or pick up that Amazon box and put it in the closet. To help seal the clean look, clean the surface of course! 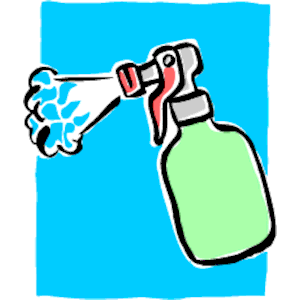 If you want to stay away from harsh chemicals or if you cannot make it to the store, use a homemade cleaner. We have a recipe for you that requires only 2 ingredients, that you probably already have at home. Let us know how you used this simple cleaner!